The Pearls of Kyrgyzstan are hidden high in the Pamir and Tien Shan Mountains and guarded from curious eyes by powerful snow-covered walls. 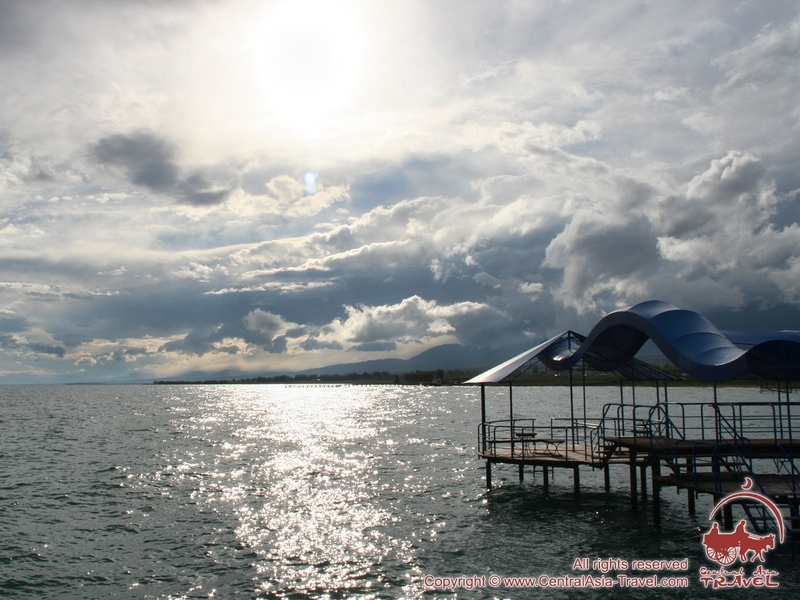 We invite you to have a look at high-altitude Lake Issyk-Kul and its surroundings. From the space the pearl resembles a human eye clearly outlined by the Kungey Ala-Too and Terskey Ala-Too Ranges. The lake proper situated at an elevation of 1,610 m boasts brackish crystal clear water that never freezes throughout winter, while the lake area with affordable prices and mild climate similar to that at a seaside has long since won the title of Kyrgyzstan’s best resort. Karakol and Cholpon-Ata, two main resort cities in Issyk-Kul Region, feature a highly developed tourist infrastructure, unique places of interest and hospitable people. The mountain chains running around the lake conceal a great number of places of inimitable beauty. One of them is Jety-Oguz, a gorge with extraterrestrial red rocks. Come and enjoy the precious pearl of Kyrgyzstan infringed with snow-clad mountains and natural and man-made monuments! • a 5-day option consists of a trip from Bishkek to Issyk-Kul and back and travelling in the lake’s neighbourhood. 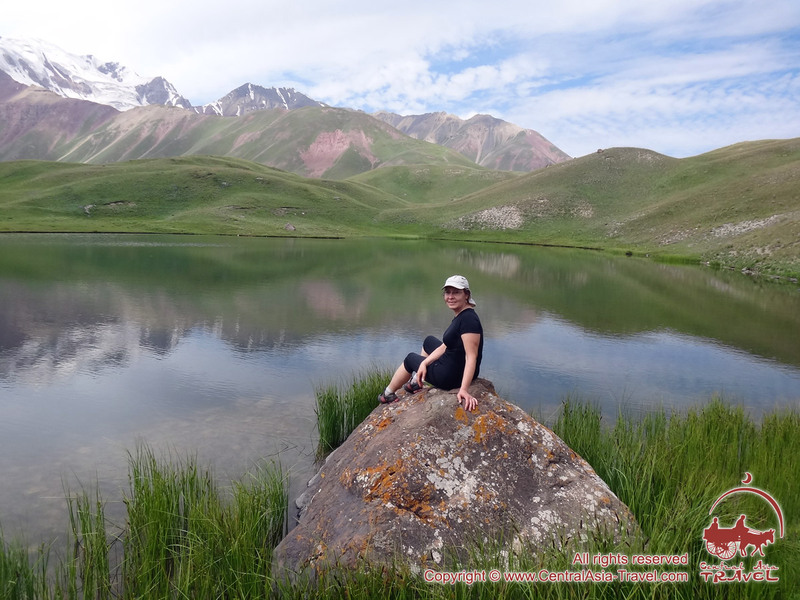 • an 8-day option adds to the 5-day tour a trip to Osh, the ‘southern capital city’ of Kyrgyzstan, and to Lenin Peak Base Camp in the Pamirs at the time of its functioning. This is a unique opportunity for non-mountaineers to visit the famous high-altitude region, live in a yurt camp, take part in a master class in cooking plov (pilaf) and get acquainted with the life of nomads. Both groups travel inseparably throughout the basic portion of the itinerary (Bishkek - Issyk-Kul Lake - Karakol - Jety-Oguz Gorge - Bishkek), and after it is completed, those who travel in 8-day tour will have a flight to Osh and further driving along the Pamir Highway to the Base Camp of Lenin Peak. Day 1. Arrival in Bishkek. Arrival in Bishkek. Meeting at airport. Transfer and accommodation in the hotel after 14:00. Leisure time. Overnight at the hotel. Day 2. Bishkek - Issyk-Kul Lake (250 km, 5-6 hrs). Breakfast at the hotel. At 9:00 AM a group gathering in the hotel lobby. Sightseeing program in Bishkek at 10:00 AM: the central Ala-Too Square, Historical Museum, flagstaff (and changing of the guard), statue of Lenin and Freedom Monument, Philharmonic Hall, monument to Manas. Transfer to Cholpon-Ata along the northern shore of Lake Issyk Kul (250 km), the second largest alpine lake in the world after Lake Titicaca in South America. Check-in and overnight at the hotel. Bishkek is located in the centre of Chuy Valley, at 800m above sea level in the foothill of Kyrgyz Alatoo Range (Tien Shan Montains). 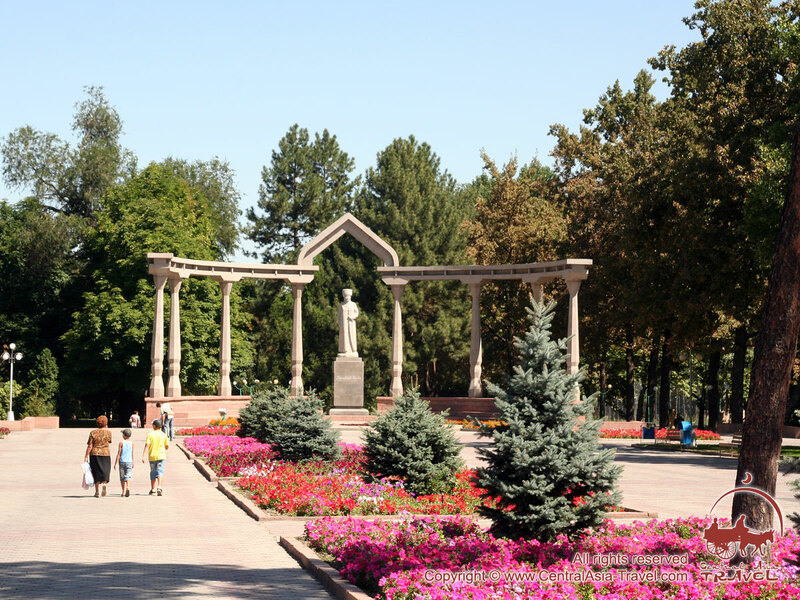 Bishkek was originally designed and built in 1868 as a Russian military garrison base. Independent since 1991, modern city of 1 million-odd population still is regarded as one of the most Russian-speaking cities of Central Asia. Bishkek is a city of wide streets, marble-faced public buildings and numerous Soviet-style apartment blocks with interior courtyards, as well as thousands of smaller privately built houses outside the city center. It is laid out on a grid pattern, with most streets flanked on both sides by innumerable trees which provide shade in the hot summers. There are over 150 species of trees and smaller plants growing in the city. 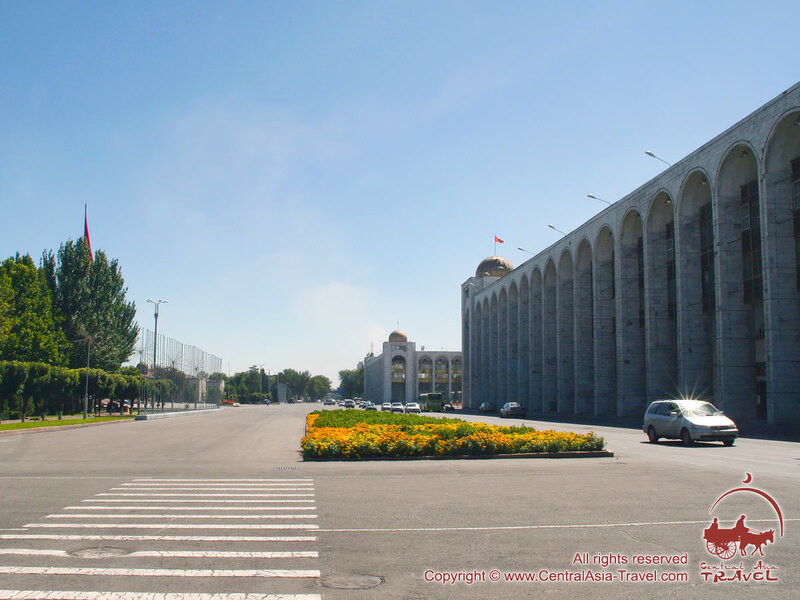 • The Alatau Square, the main square of the city, with the government building and fountains. On the square you can see a flagstaff and a monument to epic hero Manas. The square is surrounded by a number of interesting objects, such as Historical Museum with its unique for CIS countries collection of bronze relieves and statues of the Soviet period, the House of the Government made of white marble, the Oak Park and the Nikolskaya Church. At the Independence monument in the square you can watch the changing guards. • Lenin’s statue. Bishkek is the only capital of the post-Soviet countries featuring a statue of this person. • Kyrgyz National Philharmonic Hall named after Toktogul Satylganov. After a lunch we move to Cholpon Ata, a resort town with a population of 40,000 people, situated on the northern shore of large alpine Lake Issyk Kul, the pearl of Kyrgyzstan. 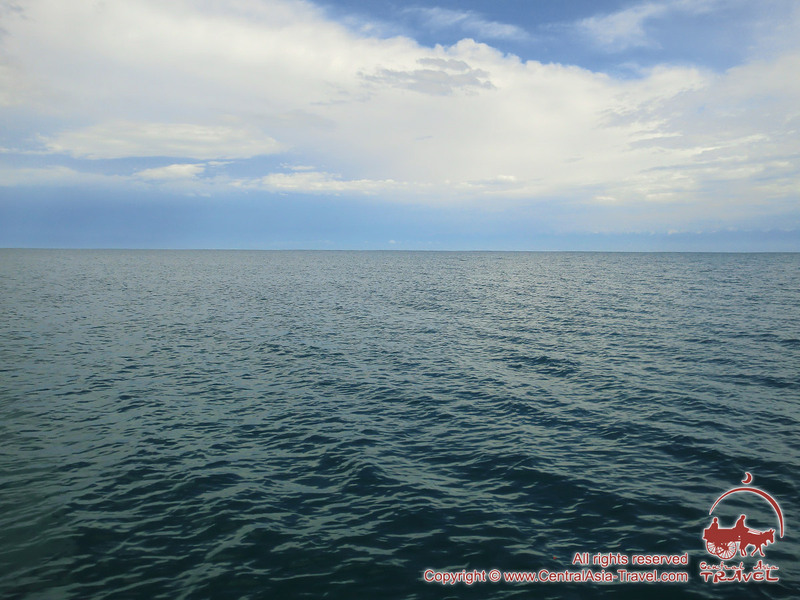 Lake Issyk Kul (“warm lake” in Kyrgyz) - a natural wonder of Central Asia! The phenomenon of Issyk Kul lake is not only in its being world’s second largest alpine lake but also that, despite altitude (1.608m), it never gets ice on its surface. The lake attracts hundreds of birds, is abundant in fish and provides habitat for diverse wildlife. Issyk Kul is the most popular tourist destination of Kyrgyzstan. The mountains and the marine microclimate produce a wild, unique environment here. 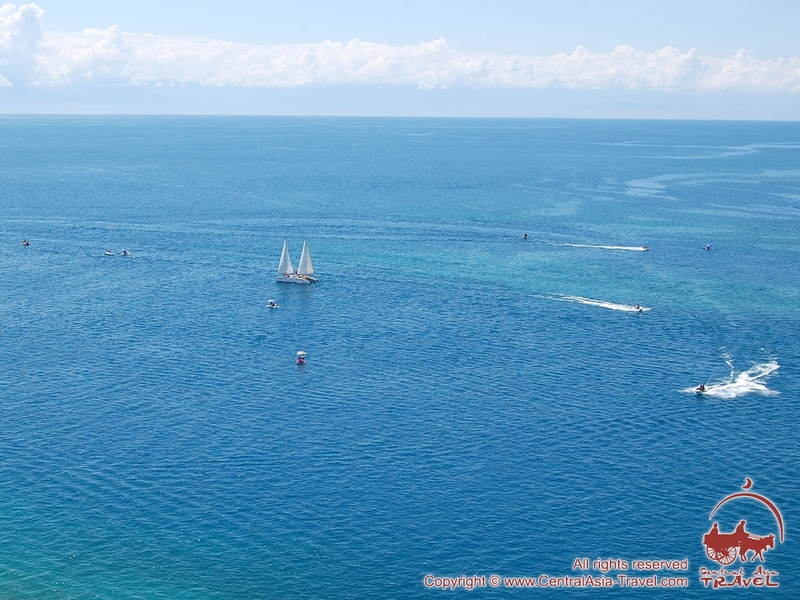 The water of the Issyk Kul is clear blue with a visibility of up to 60 feet (20 m).The water temperature in July on the surface is a comfortable 68° to 73° F (20° to 23° C), and in January it is 36° to 37° F (2° to 3° C). Issyk-Kul also offers the opportunity to cycle, climb, ski, raft, windsurf, tour on horseback or just relax at one of the famous coastal resorts. Recreation at Issyk Kul is associated with clear mountain air and the azure mirror of the cleanest lake, all combined with a highly developed infrastructure and amazingly beautiful nature. Day 3. Issyk-Kul Lake - Karakol - Jety-Oguz Gorge - Issyk-Kul Lake (350 km, 7-8 hrs). Breakfast at the hotel. Round trip to the city of Karakol (Eastern shore of Lake Issyk Kul). Guided sightseeing tour around Karakol: Przhevalski museum, a wooden Orthodox Russian church and impressive wooden Dungan mosque, built without metal nails by the Dungan people. Lunch in Karakol - tasting Ashlyamfu, the national dish of Uighurs and Dungans (noodles with pieces of starch in the sauce). After lunch transfer to the Jety-Oguz Gorge (25 km) with its famous red rocks, The Broken Heart and The Seven Bulls. Drive back to Cholpon-Ata. Overnight at the hotel. Today we will make a round trip to Karakol (formerly Przhevalsk, after the Russian explorer Przhevalsky who died there), an administrative centre and the largest resort of Issyk Kul Province in 12km away of the Lake Issyk Kul, situated in its eastern part, at the foot of the Terskey-Alatau Range, at elevations between 1,690 and 1,850 m above sea level. Karakol was founded in 1869 as a military and administrative station on a caravan road connecting the Chuy Valley and Kashgaria. Karakol (population of 65,000) features highly developed infrastructure and boasts a large number of shops, restaurants, cafes, hotels and boarding houses; not far from the city there is a ski resort, hot springs and very many other places in the surrounding mountains good for active recreation (trekking, hiking, biking, paragliding and mountaineering). • Impressive wooden Dungan mosque, built in 1910 in a Chinese pagoda style, without metal nails by the Dungan Muslims. For lunch we shall have the famous Karakol-style ashlamfu. This is the traditional food of Uighurs and Dungans consisting of noodles with pieces of starch seasoned with original sauce. Then we visit Djety-Oguz Gorge (“seven bulls” in Kyrgyz) with an unusual formation of red sandstone cliffs that gave the place its name - Seven Bulls. 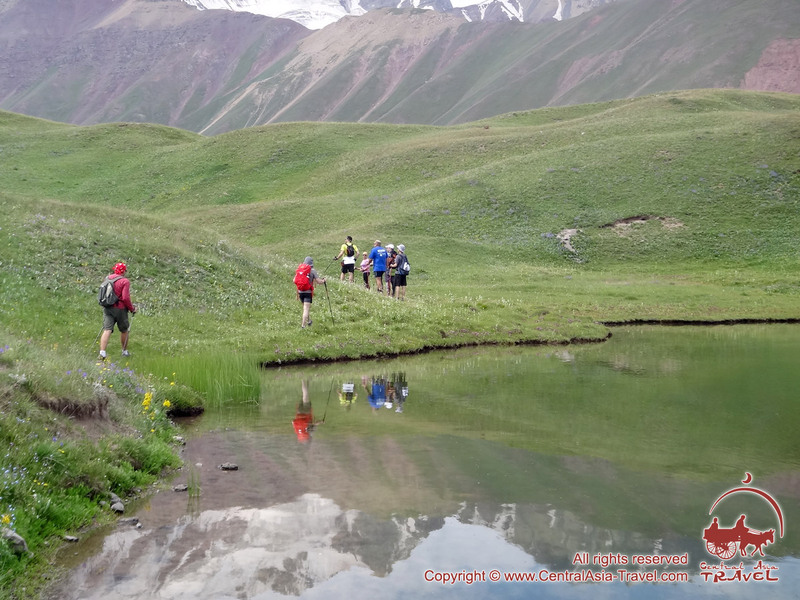 The rocks continue for 37 km, being one of the most beautiful places in Kyrgyzstan. The landscape of the gorge was formed by the Jety-Oguz River emptying into Lake Issyk Kul. Next to the gorge’s mouth there is The Broken Heart rock, one of the most romantic places ideal for lovers. According to legend, the rock symbolises the broken heart of a girl having died because of two young men, who had killed each other in a fight for her. Loving couples like to have their pictures taken in the place. Day 4. 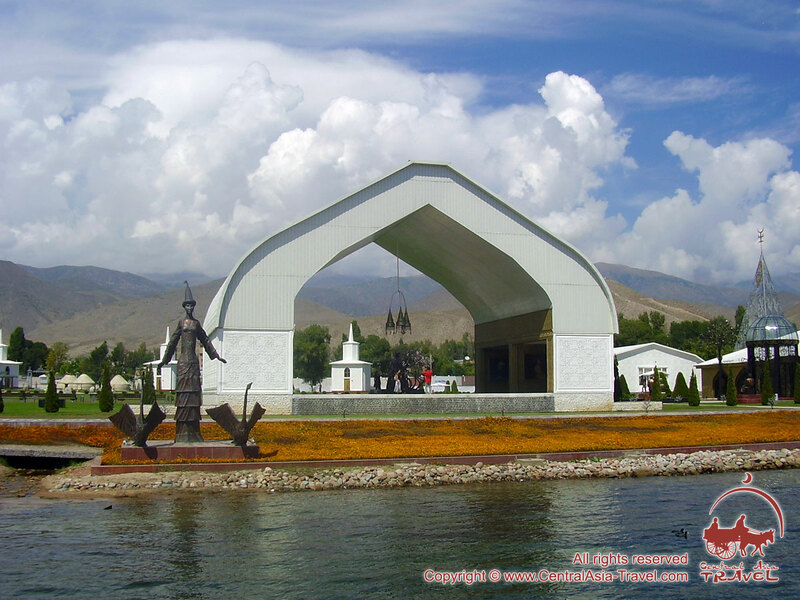 Issyk-Kul Lake - Museum of petroglyphs - Ruh Ordo - Issyk-Kul Lake - Bishkek (300 km, 6-7 hrs). Breakfast at the hotel. Visiting a Museum of petroglyphs, an open-air site with about 2000 petroglyphs dating from 800 BC to 1200AD in Cholpon-Ata. Visiting Ruh Ordo Cultural Center. Transfer to Bishkek. Check-in at the hotel on arrival. Leisure time. Overnight at the hotel. In Cholpon-Ata you can see thousands of rock paintings (petroglyphs) under the open sky! The territory of the Cholpon-Ata Open Air Museum of petroglyphs with an area of 42 ha includes, apart from rocks with about 2000 petroglyphs dating from 800 BC to 1200AD, ancient burials, ruins of settlements, circles of stones and remains of walls. 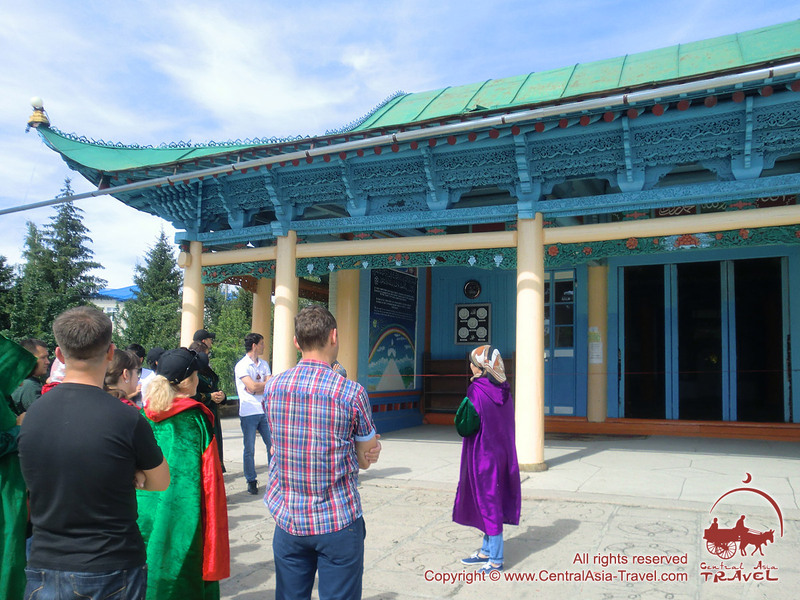 Today we also visit Ruh Ordo Cultural Center named after famous kyrgyz writer Chingiz Aitmatov where you can see sculptures of influential people and religious structures representing 5 different faiths: Buddhism, Judaism, Orthodoxy, Islam, and Catholicism. Transfer to Bishkek. Check-in at the hotel on arrival. Leisure time, visit to the Osh bazaar in Bishkek. Breakfast at the hotel. Check-out until 12:00 AM. Depending on departure time: walking in the city centre, visiting bazaars, leisure time. Transfer to “Manas” airport (30 km). Departure. 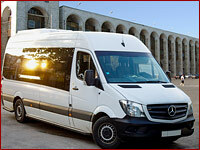 This tour is guaranteed and will be arranged whatever final number of persons in a group. • Meals that are not listed in the program. - Hotels 3* - cozy private hotels, with traditional national interiors in many of them, providing all the necessary facilities for comfortable stays; notable for very warm hosting and home-like atmosphere. Bishkek - Osh (evening flight). Breakfast at the hotel. Visiting a Museum of petroglyphs, an open-air site with about 2000 petroglyphs dating from 800 BC to 1200AD in Cholpon-Ata. Visiting Ruh Ordo Cultural Center. 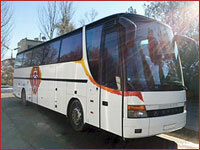 Transfer to Bishkek and further to “Manas” airport. Evening flight to Osh. Meeting at airport. Transfer and check-in at the hotel. Overnight at the hotel. Transfer to Bishkek. Transfer to “Manas” airport (30 km). Evening flight to Osh. Day 5. Osh (excursions). 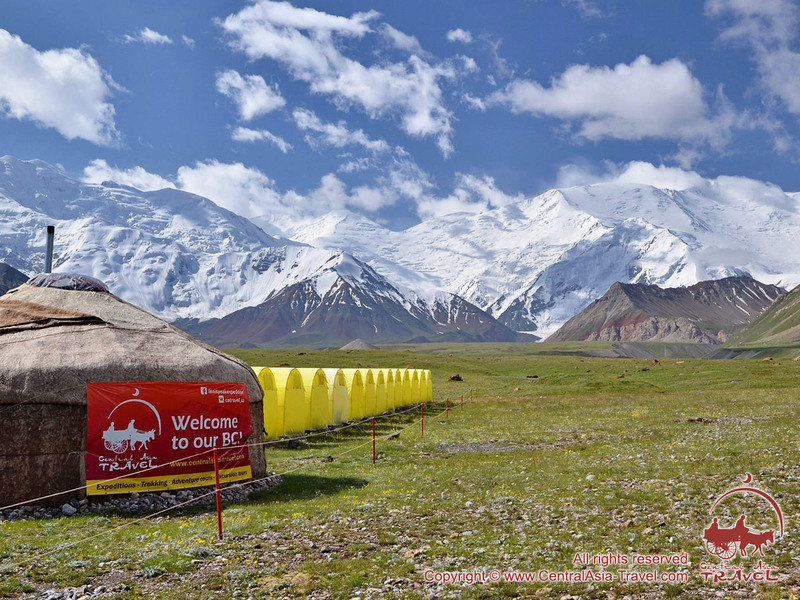 Transfer Osh - Base Camp of Lenin Peak (290 km, 5-6 hrs). Breakfast at the hotel. At 09:00 AM a group gathering in the lobby. 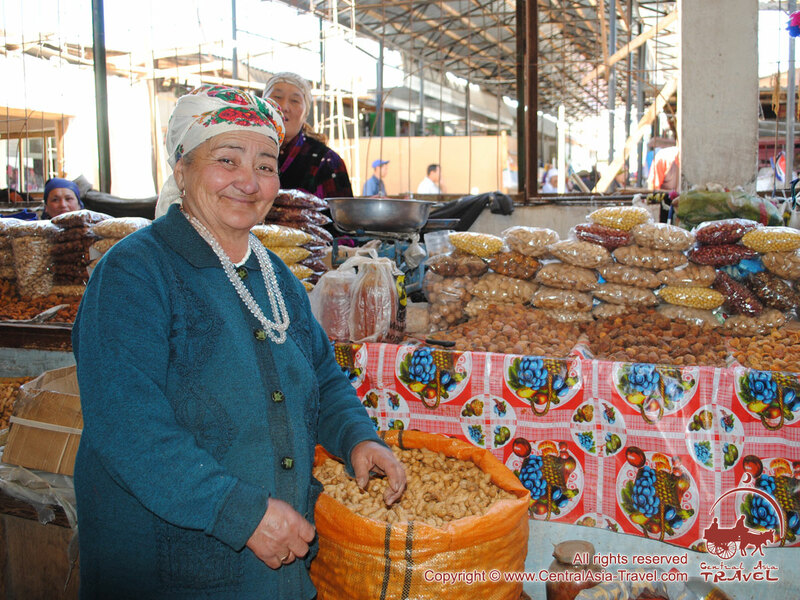 Guided sightseeing tour around Osh: Suleyman Mountain and Museum, local bazaar. Futher transfer to Mountain Yurt Camp (Base Camp) on Edelweiss Meadow at Lenin Peak foot (3,600 m). Lunch en route (lunch-boxes). Arrival at Base Camp and accommodation in tents. Hike up to Lukovaya (Leek) Meadow (3800 m). Dinner at the Yurt Camp. Overnight in tents. Located in South Kyrgyzstan, Osh is often referred to as ‘the southern capital’. It is the country’s second largest city. Osh is one of the oldest Central Asian cities and is the oldest one in Kyrgyzstan. The exact date of its foundation is unknown, but the legends about the city connect its origin with Alexander the Great and even the prophet Solomon (Suleiman). Once you arrive in Osh, you will meet kind and hospitable people and see green busy streets with a lot of cozy cafes. Osh is the starting point of the Pamir Highway crossing the Pamirs. 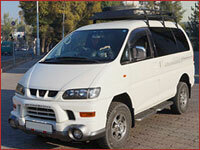 It will take 5-6 hours to get to Yurt Camp in a comfortable motor vehicle along Pamir Highway. Almost immediately beyond the city the terrain becomes hilly, as if informing us of what we are to expect further on the way. And the further we went, the more grandiose and magnificent everything around us was becoming. 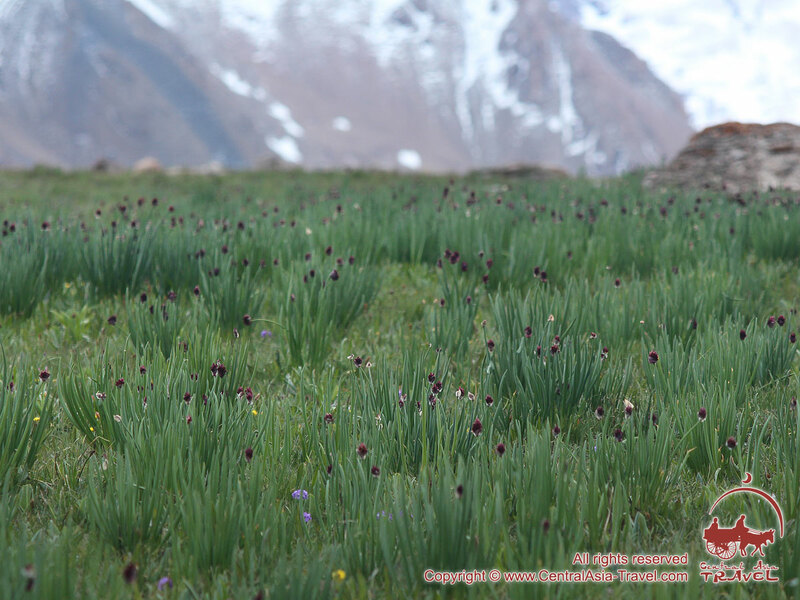 After you have moved over Taldyk Mountain Pass (3,600 m), you will see the stunning scene of Alay Valley with the majestic snow-capped Zaalay Rangeof the Pamirs towering over it. The Alay Valley is characterised by extensive green fields, marmots occasionally running across the road, grazing horses, a bottomless sky and blue mountain chains on the horizon. According to one of the legends, once Sulayman (prophet Solomon) and his army with a pair of oxen with a plow in front came to the area. When the oxen came up to the mountains, the king said, «Hosh!» («Enough!»), which was what the name of the town built where the oxen stopped came from. Archaeological finds prove that the city is at least 3000 years old. In the 10th c Osh was considered the third largest city in Fergana Valley. It was a cross-roads of the caravan routes from India and China to Europe - Great Silk Road. Osh is also one of the Muslim religious centers in Central Asia; it has the largest mosque in the country. • The National Historical and Archaeological Museum Complex Sulayman is the main attraction in Osh. The only World Heritage Site in Kyrgyzstan, Sulayman Mountain, offers a splendid view of Osh and its environs. A cave in the mountain is the site of one of the largest museums in Kyrgyzstan containing a collection of more than 33,000 pieces of archaeological artifacts, geological and historical finds and information about local flora and fauna. There are many legends about the mountain. 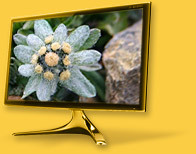 It was named for the prophet Suleiman, who is believed to have been able to cure all the diseases. According to a belief, this is the place where prophet Suleyman appealed to God, and the stones still bear the imprints of his forehead and knees. Muhammad Zahiriddin Babur (1483-1530), Tamerlane’s great-grandson and the founder of the Mogul dynasty, built a khujra (cell) with a mihrab over this place sacred for any Muslim. The site of the cell is now occupied by the Takhti-Suleyman mosque, a unidirectional building of white rock, and ‘Babur’s house’ restored following historical data. • Local Oriental Bazaar is a good place to buy authentic souvenirs. Upon arrival at the Yurt Camp (3,600 m) on Edelweiss Glade you will be accommodated in comfortable base tents (accommodation of 2 pax in 4-pax-capacity tents) equipped with wooden floors and electricity, bedclothes are also provided. The "Edelweiss Glade" BC is the largest one at the Achik Tash Tract and is the final point where it’s possible to trust the wheels of your off-road Jeep. Then we are hiking to Leek Meadow 200 meters above the camp where wild leek grows. 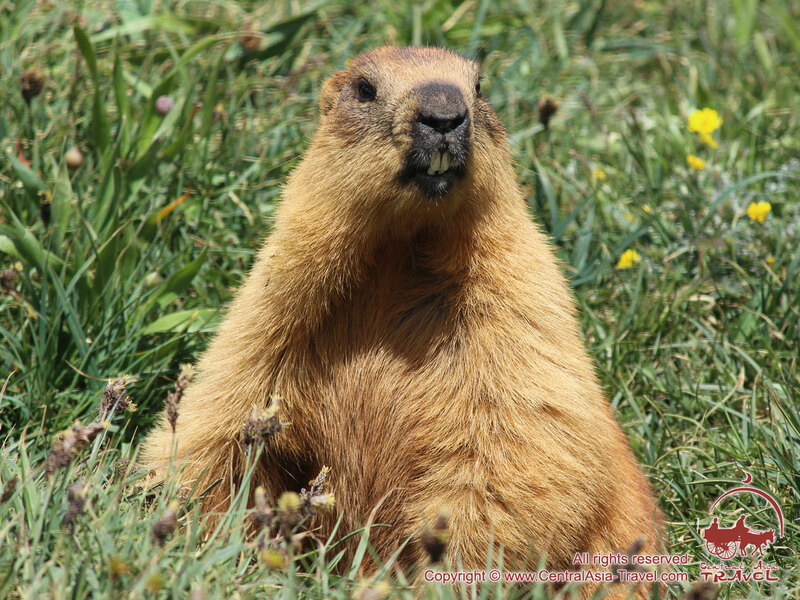 A lot of marmots live there; the meadow is pockmarked with their burrows. They are so curious that you can photograph them at a distance of about 3-4 meters. They are big and shaggy, and when finally scared, they rush back to their burrows with screeches, showing their fluffy tails - cute and funny animals. Return back to the Yurt Camp. Dinner in yurt (a yurt is a portable, felt-covered, wood lattice-framed dwelling structure traditionally used by nomads in Central Asia). Once you are inside, you will see traditional Kyrgyz decorations on its walls, as well as lot of photographs and feedback comments of our guests from almost all over the world. In the evening almost all the campers get together in the main yurt with a fire in it. They come from many countries so it is a perfect place to meet interesting people and listen to intriguing and useful stories and facts. At night, visible in the dark, here will be the soaring Pamiri snow-capped peaks under the starry sky, so close to you now. Day 6. Base Camp and its surroundings. Breakfast at the Base Camp. 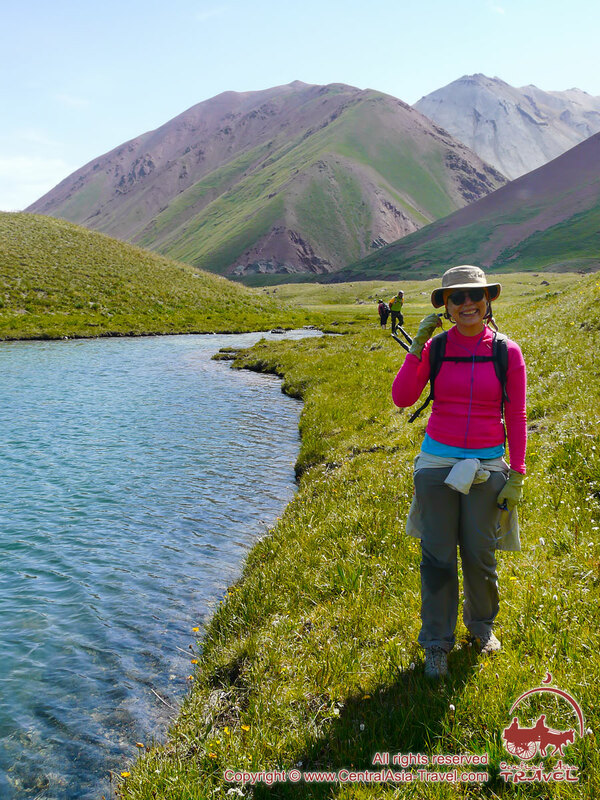 A walking trip to lakes across Achik-Tash River Valley. 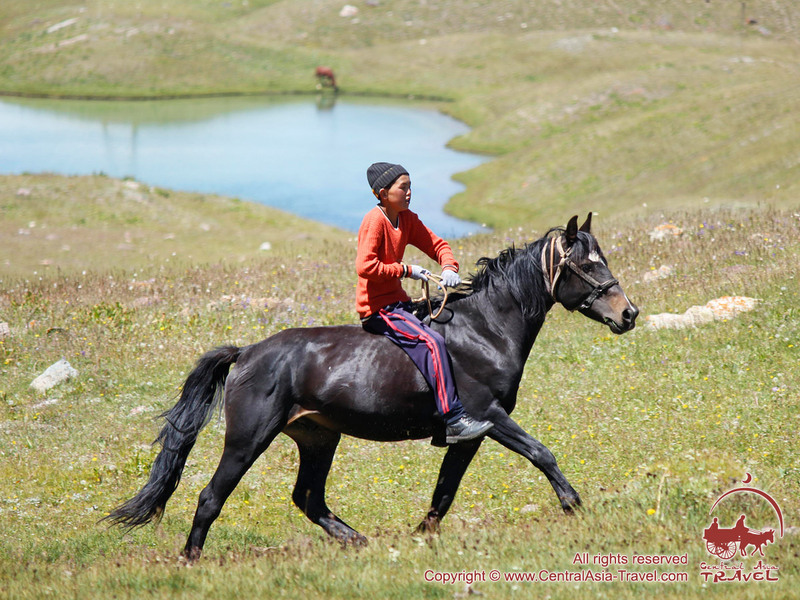 Walking to the yurts of the locals, acquaintance with the life and traditions of Kyrgyz nomads. Lunch and tasting of koumiss. Master class in plov cooking in the evening. Dinner. Overnight in tents. Excursion to the nearest lakes. Lakes are here and there in the valley, each is uniquely beautiful and so promising terrific photos. You can even swim in them: the water is cold but bearable. Then we go to the local people’s yurts to acquaint ourselves with the life and traditions of mountain nomads, tasting their traditional beverage koumiss. Mare’s milk is the basic ingredient of classic koumiss. Koumiss (kumiss, kumis) has peculiar taste. Sourish and sweetish, slightly intoxicating and instantly invigorating, smacking at once of kvass, kefir and even wine, authentic koumiss has a rather specific flavour, which may cause dislike in those who drink it for the first time. A special enzyme added to the milk turns it into a delicious reinvigorating and refreshing drink. Authentic koumiss is rich in proteins, fats, vitamins (B1, B2, C and biotin, as well as pantothenic and folic acids), calcium, phosphorus and many other chemical elements and agents good for health. Apart from its refreshing and nourishing function, koumiss has gained the status of an alcoholic drink, as the natural fermentation leads to 1-3 % or higher alcohol content in koumiss. In the evening master class in cooking authentic plov (also spelled pilaf). Dinner in the yurt. Day 7. 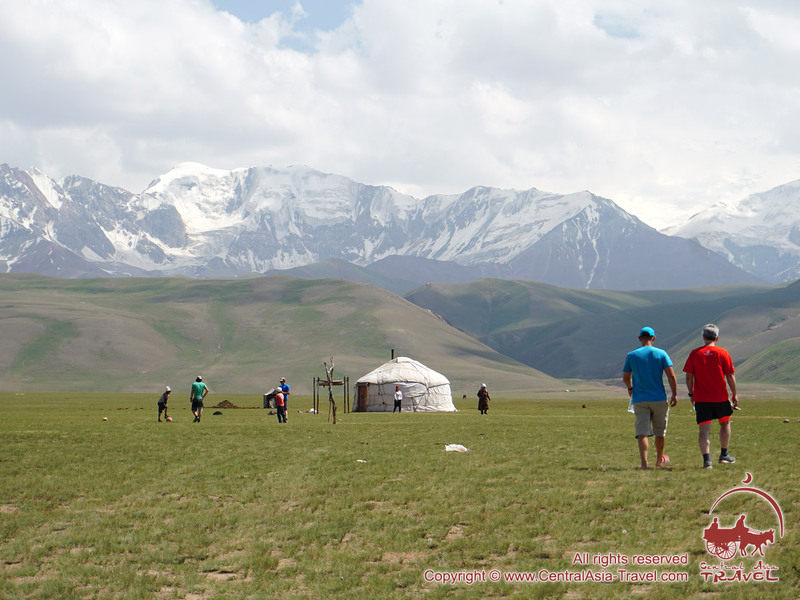 Base Camp of Lenin Peak - Osh. Breakfast at the camp. Transfer to Osh and check-in at hotel. Overnight at the hotel. After a breakfast we will set out on a journey back to warm Osh city. The grand Lenin Peak Mountain and its siblings will probably always be part of your most pleasant memories. On arriving in Osh, you will check in at the hotel. Breakfast at the hotel. Check-out until 12:00 AM. Depending on departure time: walking in the city centre, visiting bazaars, leisure time. Departure. - Yurt Camp under the Lenin Peak. Spacious and comfortable base tents (2 or 3 persons per tent) furnished with wooden floor pallets, bed clothes and “kurpachas” (Kyrgyz national mattresses). 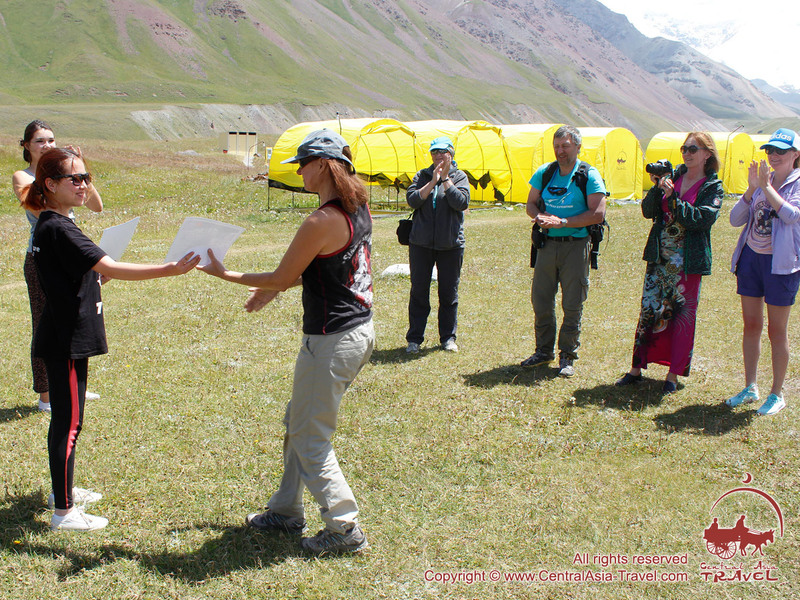 Feedbacks from tourists to the tour «The Pearls Of Kyrgyzstan». Thank you very much for all your assistance,guidance,information etc.Our trip to Kyrgyzstan and Tajikistan was one of our best and uforgettable trip of a lifetime....a complete revealation about the region i had been dreaming to visit for so so long....now it was a reality.We are very satisfied with the excellent and highly recommended services of our Guides Lisa,Aruina,and Mohammed ali and all our drivers...please give them 5 stars commendations....our safety ,health ,comfort,fun and excitements were thier best priorities well taken care of.ALL our hotels the were comfortable ( especially at lake Issy Kul and Dushanbe Sheraton ) and food provided were likewise very delicious satisfying.We just hope we had more more time but we realized that we were time constrained for a limited sightseeing so it inevitable to see everything Nevertheless, we had a wonderful overview on the beauty of the culture and natural sceneries of this part of central Asia....WE are very satisfied with your agency giving YOU and Your Company a 7 stars excellent recommendation......Definetly we will avail your services for next trip to central asia.........Thank you very much ...MARAMING SALAMAT PO (Thank you very much Filipino) and good luck and God Bless you always.